"Dancing is a graceful yet strenuous sport. In the event of an injury, you'll want therapy from those who not only understand the physical demands of dancers, but also your unique mindset. Our customized recovery programs are aimed to quickly get you back into your regular routine." As a dancer, you place unique demands on your body. You must endure repetitive physical movements and postures while also maintaining your flexibility, functional strength, and overall conditioning. Rigorous rehearsals and performances place ongoing pressure on your muscles and joints. These demands put you at higher risk for injury. At Yoshimoto Physical Therapy, we provide you with the highest quality of physical therapy available. We know of no other clinic on the island that approaches dance injury like we do. Our therapists are rich with experience and know-how that put you onto the road to recovery in the quickest, most effective way possible. When you sustain an injury, you need physical therapists who are knowledgeable in dance rehabilitation. We give you a complete biomechanical analysis and utilize advanced manual therapy techniques to improve your overall motor control. Additionally, we address any muscle imbalances, restore appropriate flexibility and strength, and improve your joint mechanics and movement awareness. Best of all, you can be assured that we will work with you on an individual basis - and never herd you into group therapy. Our customized care, specific to your dance injury, lets you continue dancing during your therapy unless doing so may result in a more serious injury. We are able to make sound decisions based on a thorough evaluation and assessment to determine the best level of participation for you following an injury. Not only do we treat your injury, but we strive to improve your full body function to ensure your successful return to dance. Throughout the process, we work to enhance your current knowledge of your individual health, fitness, and wellbeing with the goal of promoting a longer dance career for you. 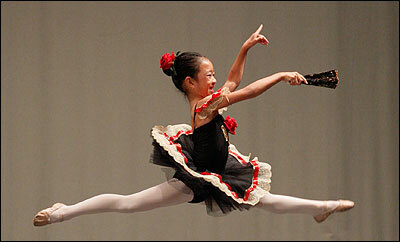 If you dance competitively, your perseverance and determination may lead to acute or chronic repetitive overuse injury. Our clinicians will assess the cause of your injury and establish a physical therapy program, which may include manual therapy techniques, massage and mobilization, proper stretches, and dance-specific exercises. Our wellness program is designed to address the musculoskeletal and performance needs of the professional dancer. Halle Racuya Lum, an 8-year-old dancer who visited Yoshimoto Physical Therapy for simultaneous injuries to her left Achilles Tendinitis and right posterior Tibialis Tendinitis. She received instructions on self care and Kinesio Taping which enabled her to participate in her performances without missing a single practice. Physical therapy was given prior to her performances to ensure her success performing her dance movements. 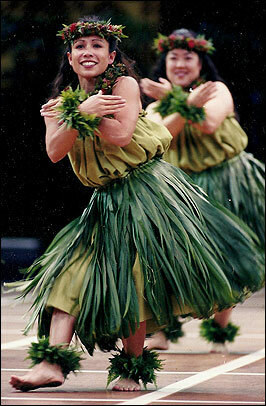 Hawaii boasts the world's best hula dancers as well as highly accomplished ballet, modern, jazz, and hip-hop dancers of all ages. When injury strikes, many dancers seek Yoshimoto Physical Therapy. Why? We've been treating dance injuries since 1995 and have a proven track record of success in this area. Do you dance competitively? We understand that you may need to continue dancing during your rehabilitation. You'll receive the most efficient treatment program to ensure a speedy recovery so you can participate in your next performance with minimal interruption of performance training. Our clinicians will help you regain your top form by restoring flexibility and proper biomechanics. We will ensure balanced muscle function, improve core strength, and provide movement re-education, proprioception, and kinesthetic sense vital to dance rehabilitation. The Performance Recovery Program features three stages for all ages. We treat dancers from age five through adulthood. FREE 15-minute assessment of injuries. Kinesio Taping for immediate care of injury. Education on a personal self- care program. Personal injury management with physical therapy sessions. Our physical therapists will ensure continued care so that you can still perform while injured. Should the injury be severe, we can guide you to the appropriate specialists. 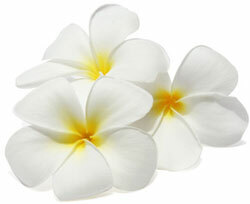 We have established relationships with the leading physicians in Hawai'i who specialize in dance medicine. Please note: While undergoing physical therapy, we strongly suggest that you continue working closely with your teachers to develop stronger dance techniques. what insurance do we accept? I am very grateful to Dean for extensively rehabilitating my shoulder and enabling me to avoid surgery.